Our apartment is far from being complete - namely there's a couch that needs to be purchased and a couch that needs to be burnt to the ground (our current couch). 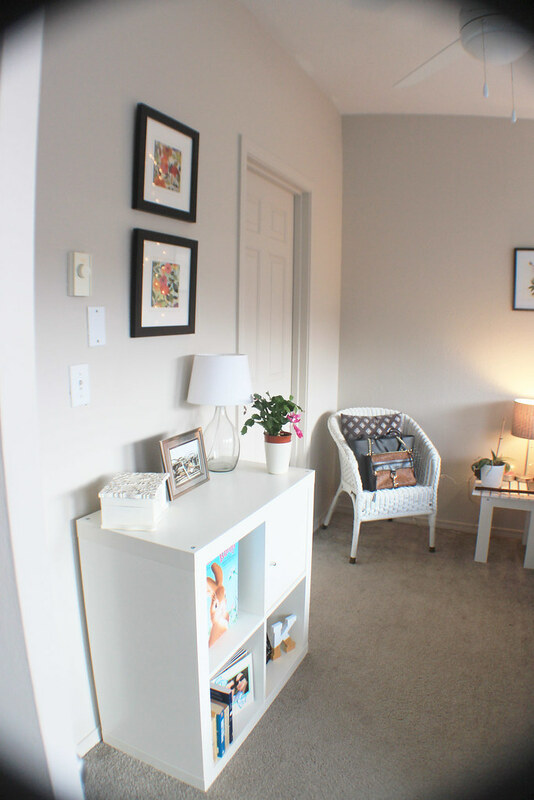 So I'm giving you a mini, partial, baby apartment tour today that focuses on the highlights of our imperfect multi-story townhome. It's skinny, small, and a happy place that we both feel warm and at home. And that makes it perfect. Don't mind the images that skip the kitchen and the couch. The kitchen is dreamy but hard to photograph and the couch deserves a space in hell. 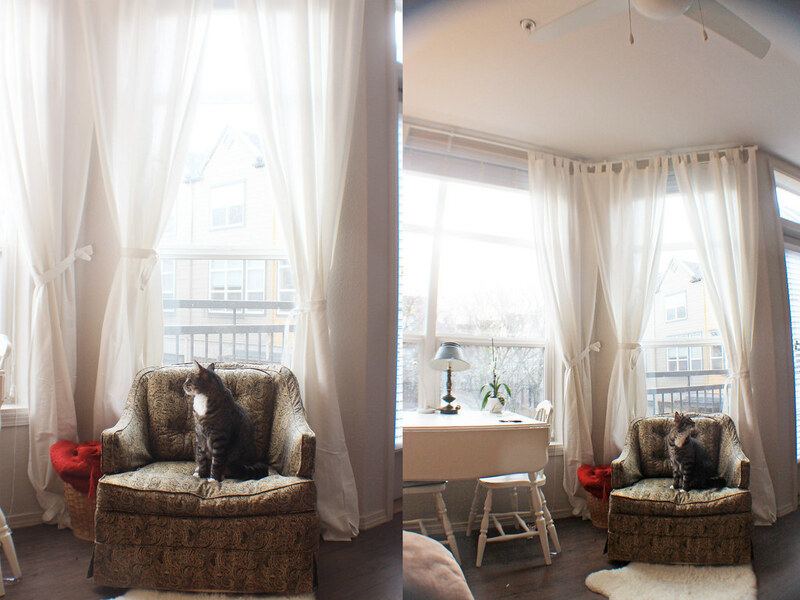 Ben installed these curtains (from Ikea for a steal) and it changed the entire look of the living room windows. They somehow look bigger framed in these pretty curtains. 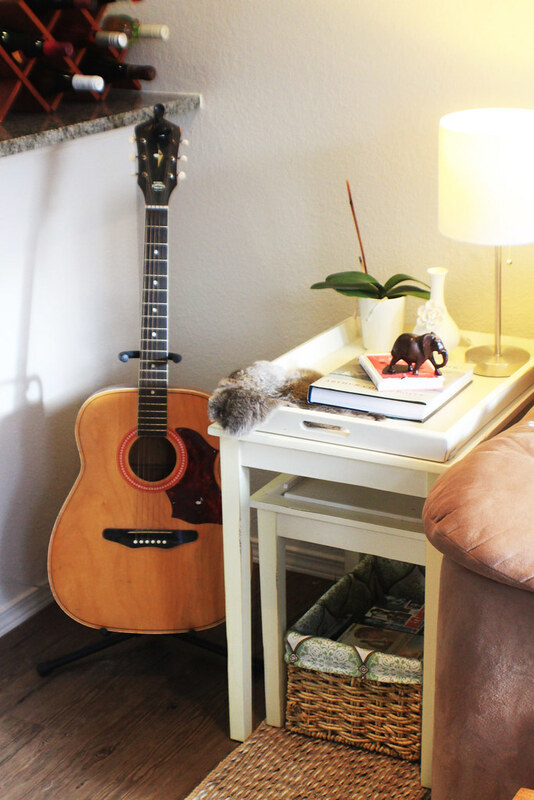 These nesting tables from World Market were a genius idea - when we have more space and need more end tables, they serve a separate purpose and when we downsize (or get into a skinnier space) they can nest and we don't need to store them in the garage. I finally purchased a bed frame after almost three years of apartment living. What took me so long? It's awesome to be off the floor. 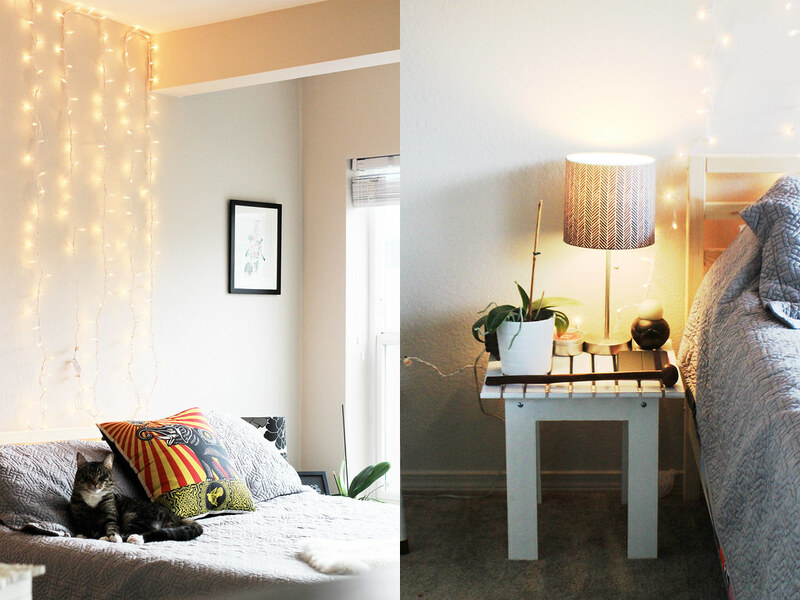 In lieu of a tall or ornate headboard (this pine frame offers very little structure) I made a waterfall of white lights to illuminate the head of the bed. It filled the space really well. So there you have it - a peek at the living room and the bedroom! We have more space in the hall closets, washer dryer, kitchen, entry stairs and mini foyer, garage, and bathroom, but those are the boring places to photograph. This'll have to suffice for now until I make the apartment even more ours. 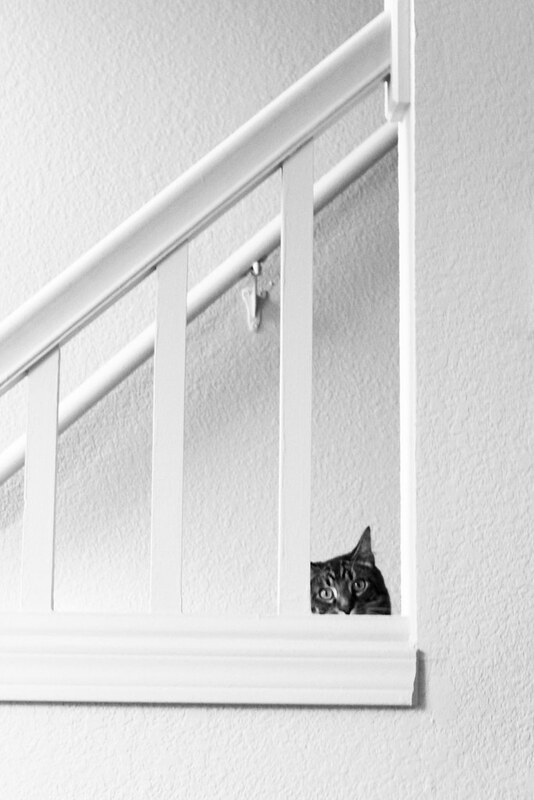 I love that kitty sneaks in most of the photos ;) Cute space though. Love the windows! Adorable! 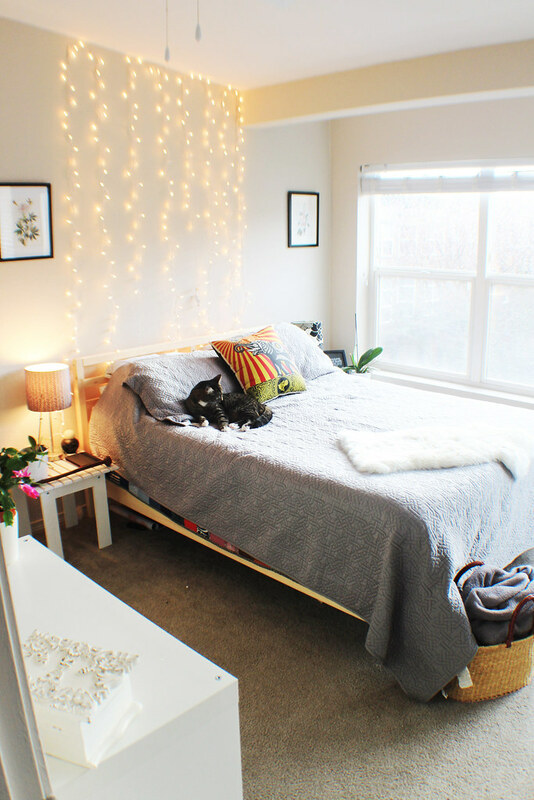 I may steal the lights about the bed idea - so whimsical! Love how bright! Big windows are fab. So is a bag squishy kitty. <3 Looks cozy! I'm too lazy to deal with curtains right now because I know I am just going to have to move again. 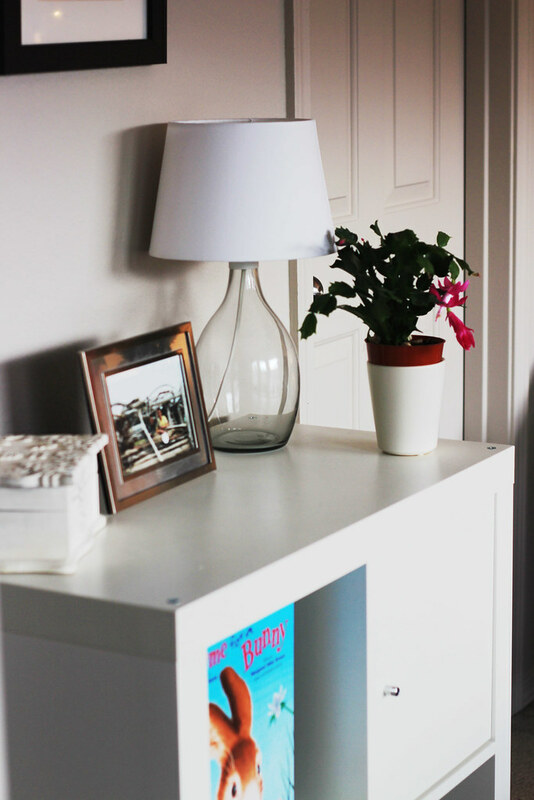 I envy your vigor for decorating a new place! Love those big windows. Your home looks so cozy. 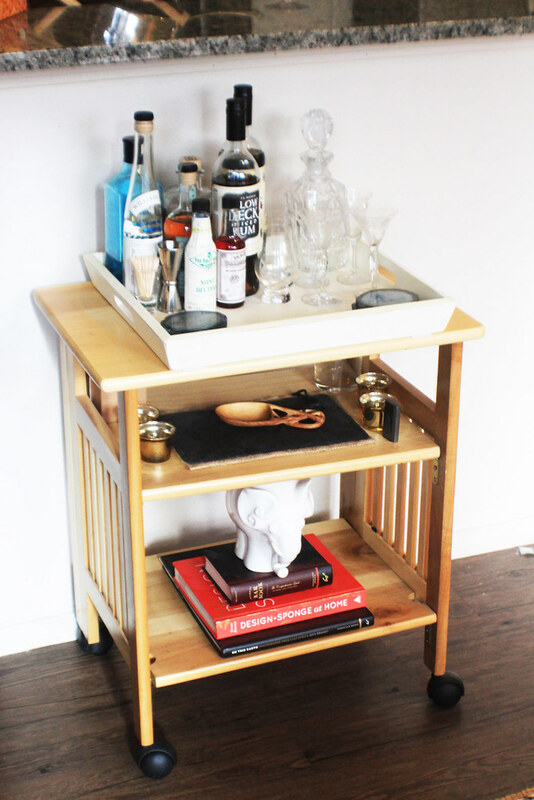 I love your bar cart! It is so cute!! 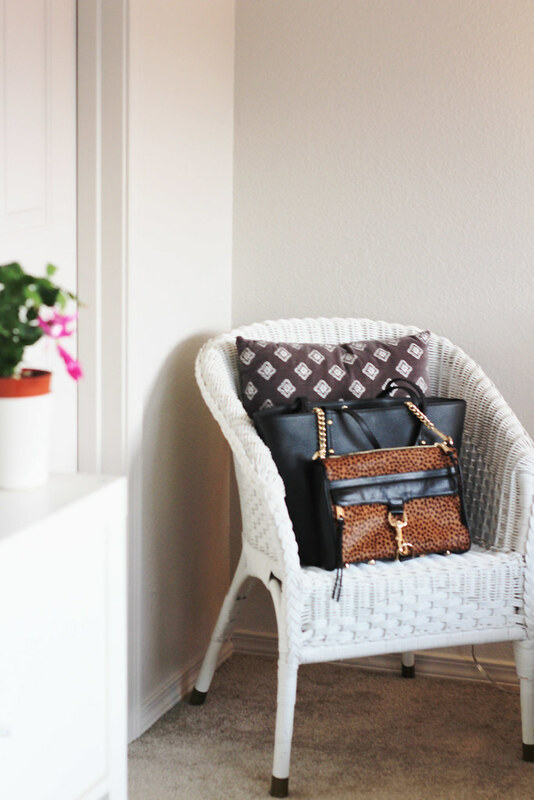 We just moved in November and everything is unpacked but I still want to decorate. The problem is, I want to completely redo a couple rooms and that just isn't a possibility right now! We are getting married in April 2015 and want to save some items for our registry. For example, new bedding or towels. So for now I'm "stuck" with what we have. Once we start registering you better believe I'm going to start pinning new decorating ideas! Oh it's beautiful!! Well done! Isn't interesting how much our home can affect our mood and general well being? beautiful space! loving the lights in your bedroom and those curtains -- i feel like they really transform the room. Love it! I just redid my room recently and it's amazing how much a change in a space can make a difference in your day to day! Looks great and so homey already! I love the waterfall lights!